Hensley Employees are encouraged to ‘take the pledge’ in order to conserve water and actively participate in World Environment Day 2016. That’s why we at Hensley Beverage Company are joining forces with Anheuser-Busch to spread a message about the importance of water conservation. In addition to being the main ingredient in all of our beers, water is vital for our collective economic, social and environmental well being. Hensley Beverage Company employees will participate in ‘taking the pledge’ in order to conserve water from May 20- June 5, 2016. In recognition of World Environment Day 2016, employees are encouraged to get involved by skipping shaving, turning off water while brushing and/or face washing, as well as to take shorter showers. The average shave uses 3-10 gallons of water, so nearly 5 gallons of water could be saved for each skipped shave leading up to World Environment Day. Water is a key ingredient in beer – not to mention vital to all life on our planet. 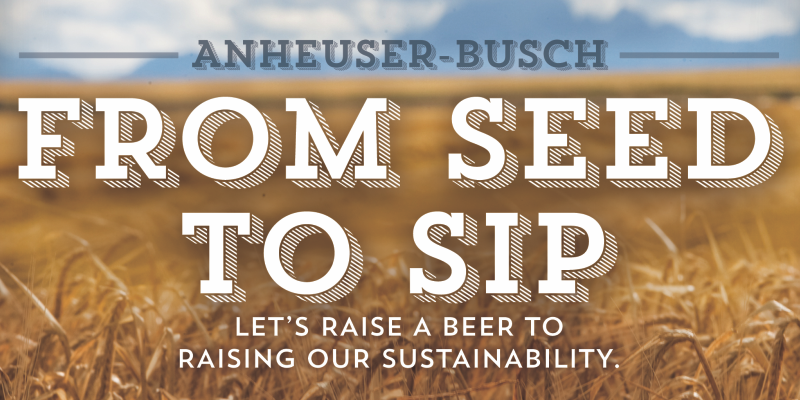 That’s why Anheuser-Busch strives to conserve it at every step of the brewing process. 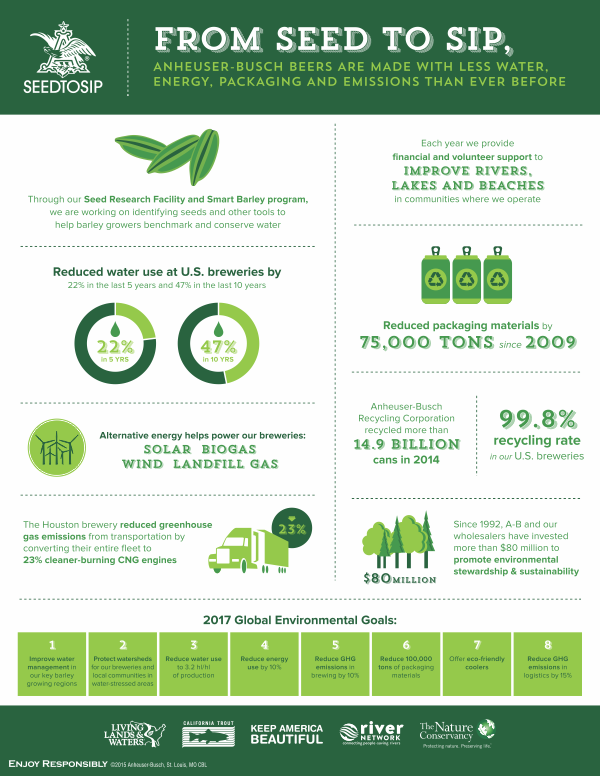 Over the past 10 years Anheuser-Busch has reduced its water use by nearly 50 percent at U.S. breweries. During this year’s World Environment Day, make a resolution to conserve water in your daily routine, too.